If you are only stopping over in Beijing for a few days, you will find it difficult to squeeze in all the city has to offer. Most people plan a trip to the Great Wall of China, being the world’s longest wall it’s an impressive architectural achievement and a breath-taking site. 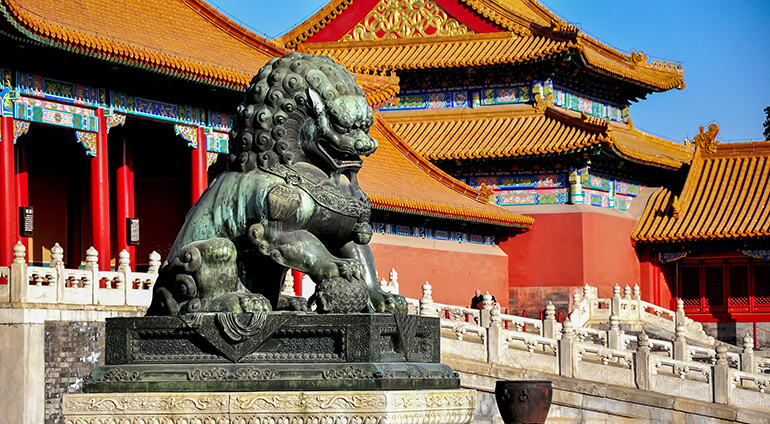 The Forbidden City is another of the city’s main tourist attractions. It’s a Chinese imperial palace located in the centre of Beijing containing Chinese historical and cultural relics. This busy modern metropolis can sometimes get a little overwhelming, so take some time to escape to one of the city’s green spaces. Summer Palace is not to be missed, here you will find beautiful verdant gardens, peaceful lakes and pretty palaces. Jingshan Park is also worth a visit with its beautiful flowers, picturesque gardens and 360 degree views of the city. It’s also worth seeing all the futuristic buildings and skyscrapers dotted around the city such as the CCTV Building, NCPA Concert Hall, Galaxy Soho and the Olympic Stadium. In contrast, there’s the assortment of narrow alleyways lined with traditional courtyard houses in the Beijing Hutongs. This part of the city will give you an insight into the older and more traditional side of Beijing. It seems as though there are wonderful temples to uncover around every corner in Beijing, make sure you visit the Temple of Heaven and Lama Temple. History buffs won’t want to miss the Palace Museum where you can see 5,000 years of traditional Chinese art.